165: Yoshi's Crafted World Impressions with Jess Kenyon! 163: Nindies Showcase with A Smashing Theory! 162: Baba is You Impressions and Celebrating the Switch's Second Birthday! 161: New Labo VR, Impressions of ToeJam and Earl: Back in the Groove and Deltarune with Janet Garcia! The HoneyDarling Show 43: Fourth Annual Oscar Commentary!!! 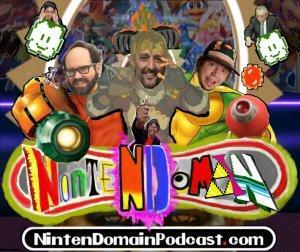 159: Is Nintendo Going Virtual.....again?